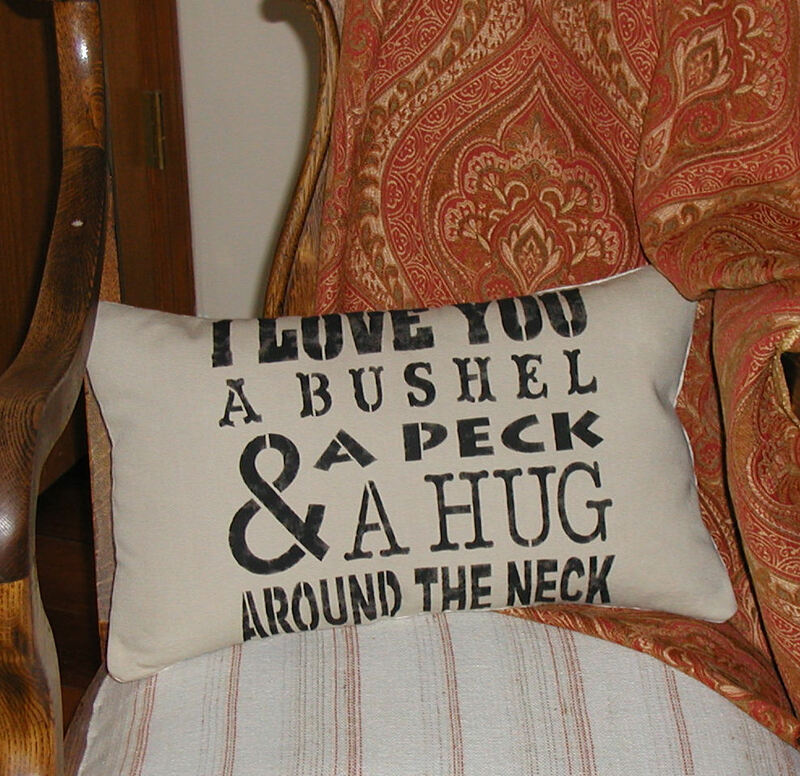 I finished the Bushel and a Peck pillow today. It turned out cute but you know the place mat is just a bit too small for the stencil. It is ok though cause I have lots of other stencils and material and ideas! But this thing is done..and it is now Bryar's Pillow.